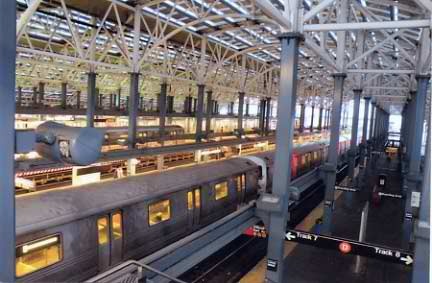 There are many two- level stations in the NYC subway system. 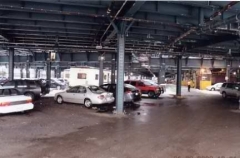 However, this is one where express trains are on one level and local ones are on the other: the Nostrand Avenue station at Fulton Street, Brooklyn. However: At Bergen Street on the ‘F’ the locals are on the upper level and the (now defunct) express is on the lower level, as they are at 59th and 86th on the Lexington line. 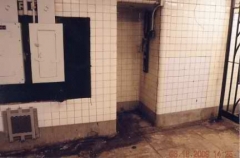 LEFT: Could this have been a phone booth like the one that’s on the mezzanine level at the Liberty Avenue station on the A and C lines? 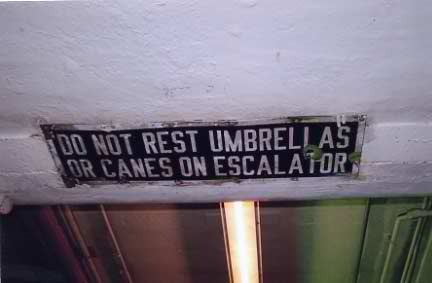 If so, Superman might have found this on the downtown platform of the Spring Street station on the A, C and E lines. RIGHT: The old and the new meet here on the downtown platform of the Wall Street station on the 4 and 5 lines. 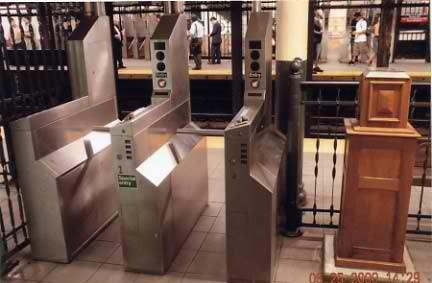 On the left are turnstiles that recently accepted tokens and Metrocards. They no longer accept tokens, as they were phased out. 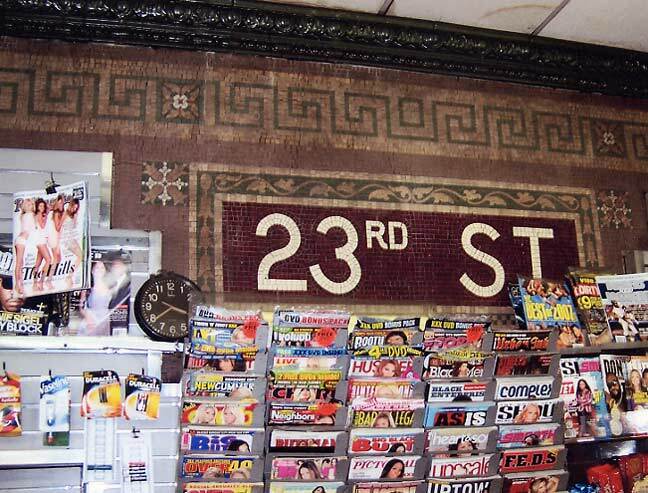 Metrocards were gladly welcomed by people who live in two fare zones. 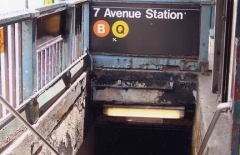 No longer would they have to pay two fares – one for the bus to get to the subway station and then paying again for the subway. To the right is a ticket chopper from the early days on the IRT (Interborough Rapid Transit). A passenger would purchase a ticket for a ride from a clerk then would give it to an attendant who would then chop up the ticket to prevent its reuse. 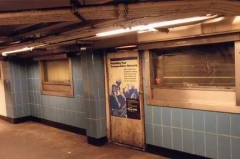 The later introduction of mechanical turnstiles reduced operating expenses for the IRT as the ticket chopper attendant position was eliminated. This is probably the only place where one can see the two technologies together except at the NYC Transit Museum in Downtown Brooklyn. LEFT: Waiting for a 5 train at the Pelham Parkway Station, one can see this ancient sign to alert passengers of oncoming trains. Manhattan was the city where the train was coming from or going to. Isn’t the Bronx part of the CITY of New York? RIGHT: A passenger transferring from one of the deepest stations in the subway system at 168th Street on the 1 line would likely press the buttons for an elevator to go up the distance of several stories. However, someone forgot to change the button panel to reflect that the B does not stop here anymore. 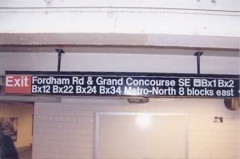 Its terminal has been switched to the Bedford Park Boulevard on the Concourse line. The C has taken its place. LEFT: The South Ferry Station on the 1 line has the distinction of being the newest station in the entire subway system. It replaced the old station that accommodated only the first five cars of a train that contributed to many delays. 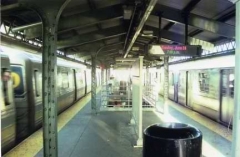 Not only does the new station accommodate a full length train but it allows passengers to make a free transfer to the W and R trains at Whitehall Street. 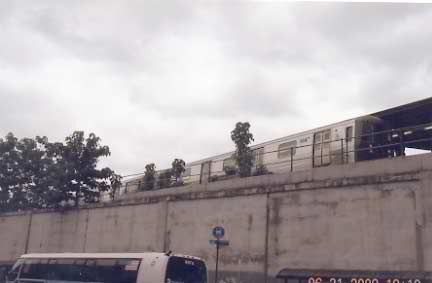 RIGHT: The 145th Street station on the 3 has the distinction of being one of the only two stations in the subway system that cannot accept a full length train. Low patronage here tempered any inspiration to lengthen this station. The 3 runs twenty four hours a day now. However during the midnight hours it runs south only to 14th Street. 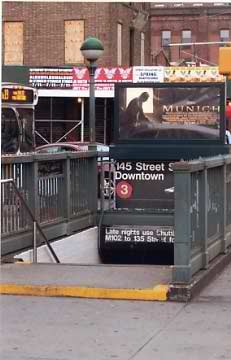 Therefore, the sign that says to take a shuttle bus to 135th Street is not necessary. Some lines, like the 5, may have more than one terminal. During rush hour, the 5’s northern terminal may be 238th Street & White Plains Road or Dyre Avenue. 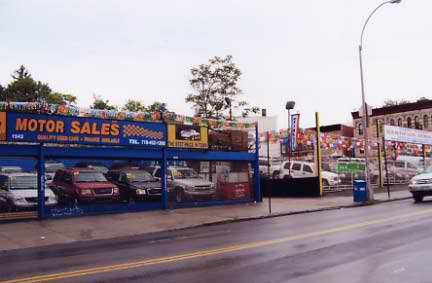 On the southern end it may be Flatbush Avenue or Utica Avenue. The A has 4! 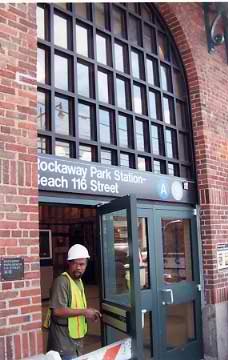 Here’s one at Rockaway Park, Queens. 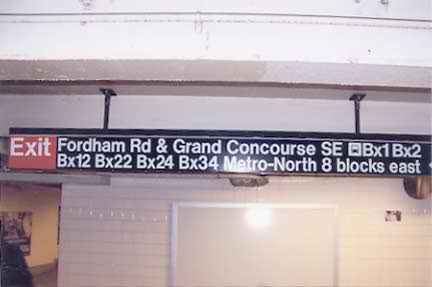 This sign at Fordham Road on the Concouse line is out of date. The BX24 bus that traveled from Fordham Plaza to Riverdale has ceased to exist for nearly fifteen years. The A’s two other terminals. 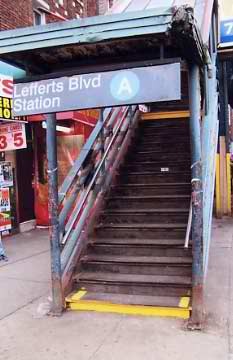 Lefferts Boulevard and Mott Avenue, Far Rockaway. 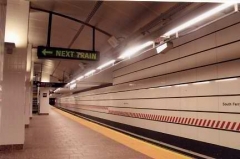 Although it has been painted over since this picture was shot, a colorful history was revealed at the downside of the Tremont Avenue Station on the Concourse line. 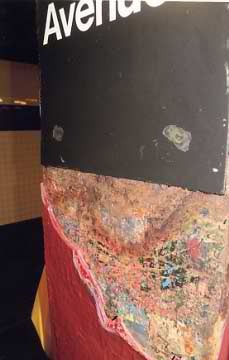 Could this be all the layers of paint from 1932? This sign has survived because of its location. It’s located directly over an escalator at the President Station on the 2 & 5 lines. 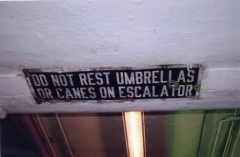 It’s difficult to “borrow” this sign since the escalator is always moving. This baked enamel beauty probably dates from the IRT Nostrand Avenue line’s construction in the 1920s. 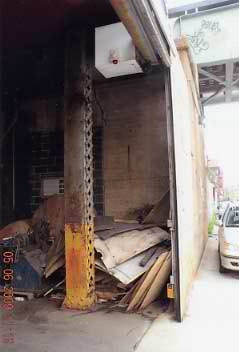 LEFT: Could this be a support column from the old Franklin Avenue shuttle? When gate is closed (next to car), it cannot be seen from the street on Pacific Street just west of Franklin Ave., Brooklyn. 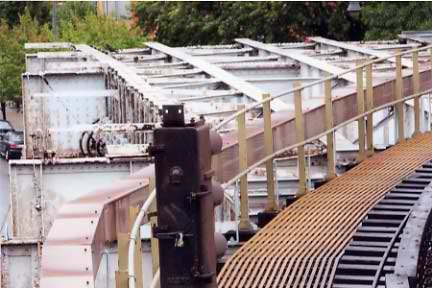 RIGHT: Normally, express tracks are adjacent to local tracks throughout the system. However, in two locations, this is not the rule. 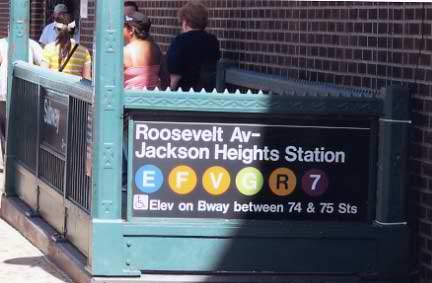 Here at the 36th Street/Northern Boulevard Station the R, N, E, F, V and sometimes G pass through this station. Just east of this location the local tracks veer northerly along Steinway Street stopping at Steinway & Broadway while the express tracks continue under Northern Boulevard. Turning east on Broadway the local tracks rejoin the express tracks at Northern Boulevard & Broadway. FNY webhost Paul Matus: The answer is: if this column is east of the current shuttle (i.e., perhaps 30-50 feet east of the current structure) then it probably is part of the original 1896 (IIRC) elevated connection between the Brooklyn and Brighton Beach RR and the Kings County Rwy (Fulton Street Line) that transitioned the former line from an excursion road to rapid transit. In 1907 this portion of the original line was realigned to eliminate two sharp curves that were in the original structure. 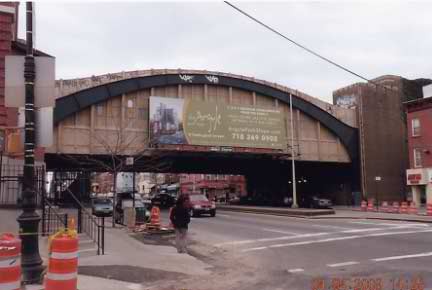 Of course, in 1998-9 it was rebuilt as a second time, but without a drastic realignment. LEFT: The next eastbound express station on the Queens Blvd. line. RIGHT: No other stations like this one exist other than here, where there are six tracks and it is a local station. 135th Street & St. Nicholas Avenue on the A, B, C and sometimes D.
Forgotten NY webhost Paul Matus: Arguably there is (or was) another six-track local station on the subway system. 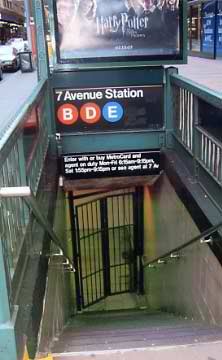 DeKalb Avenue was a local station of both the 4th Avenue and Brighton Lines until the reconfiguration five decades ago. Since that time, Brighton trains could no longer access the express track (usually called the ìbypassî track, and all Brighton trains now have to stop in the station (only a few actually bypassed it prior to that). 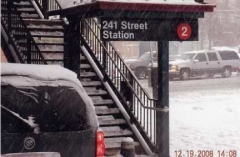 For the Fourth Avenue Line, however, it is STILL a local station, with West End D and Sea Beach N trains normally bypassing on the express tracks. 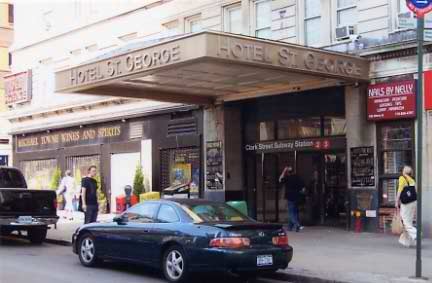 LEFT: The only station where a hotel’s entrance is the ONLY entrance to a subway station. Clark Street station on the 2 and 3 lines. 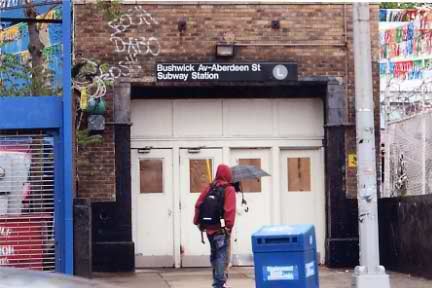 RIGHT: The Bushwick-Aberdeen Station on the L may be the most easily missed station. It can’t be seen unless one is standing directly in front of the station. 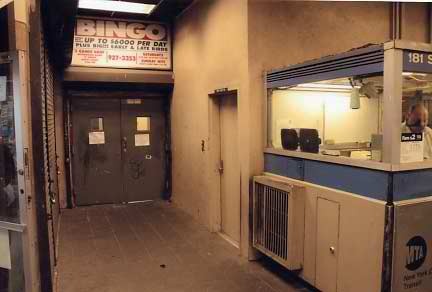 View is at angle from station on Bushwick Avenue. 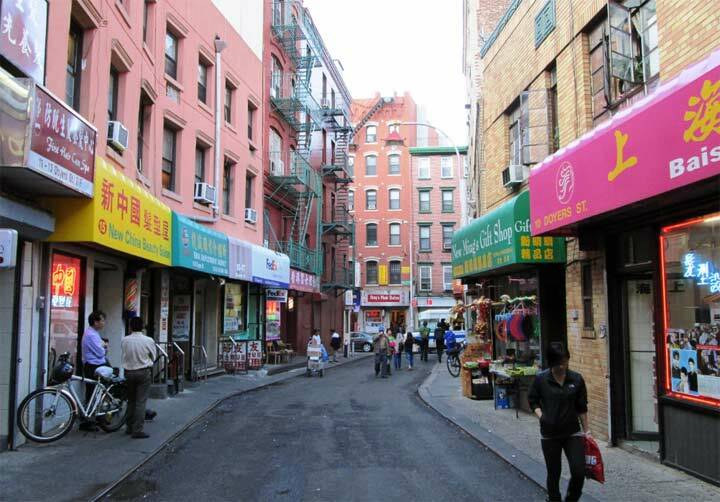 LEFT: Bushwick-Aberdeen, directly in front. RIGHT: The IND’s (Independent) planners designed this one well. The Museum of Natural History is the only museum to have its own subway entrance. 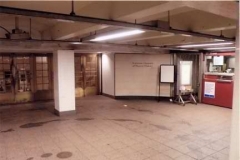 Located at rear of upper level (uptown) platform at 81st & Central Park West station. 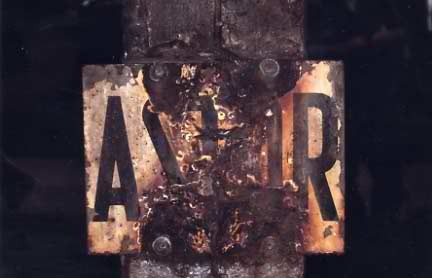 As one of the original 28 IRT stations, this is the only ORIGINAL street ID sign that’s left at the station. Even with that, it’s not visible 24 hours a day. It’s only visible when newsstand is open. Can be on seen on the downtown platform of 6 train. 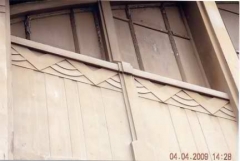 LEFT: Niches were designed so track workers had somewhere to stand when a train passes by. 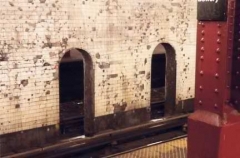 The Bowery station on the M and J trains have unusual rounded niches. Usually they’re rectangular. 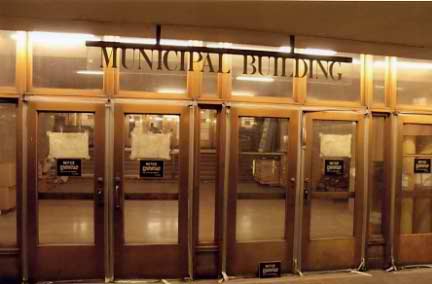 RIGHT: Brooklyn’s Municipal Building is the city’s ONLY municipal building to have a directly subway entrance. It is now closed due to security concerns. Can be found at the Borough Hall station near the 4 and 5 lines. LEFT: Where else but here could you do your banking from inside the subway? If the window was active, would people use this facility now? 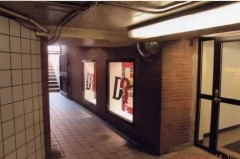 It could be done here in a passageway from the 2 & 3 trains to transfer to the R and W trains. These windows are located in the basement of a building that currently houses a branch of TD Bank at Court & Montague Streets in Brooklyn Heights. RIGHT: Wanna play Bingo? 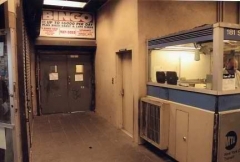 One can go directly into a bingo hall directly from the subway here at the 181st Street Station on the 1 line. Where else could that be done? 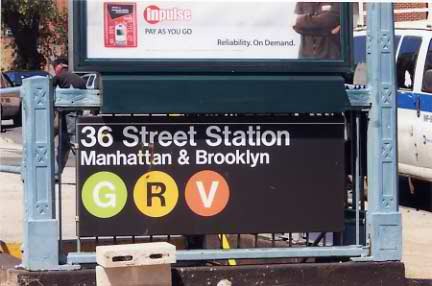 The B is a line that stops at two stations with exactly the same name. : 7th Avenue & 53rd Street, Manhattan and 7th Avenue in Park Slope, Brooklyn.The R does too: 36th St. in Brooklyn and Queens. LEFT: The subway system’s only two car train. 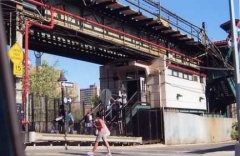 The Franklin Avenue shuttle rests for return trip to Prospect Park. Franklin Avenue at Fulton Street, Brooklyn. RIGHT: Can a station house get any smaller? 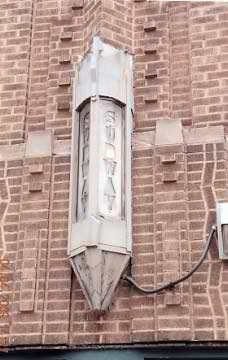 Sutter Avenue station on the L. Brownsville, Brooklyn. LEFT: The northern terminal of the 2 at 241st & White Plains Road is the ONLY station that the 2 does not share its tracks with any other line. The 2 (depending on the time of day) shares its tracks with the 1,3,4 and 5 trains. The White Plains Road line used to feature the #5 train. 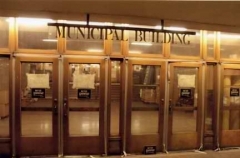 LEFT: This sign’s location contributed to its deterioration. The elements have taken their toll here. 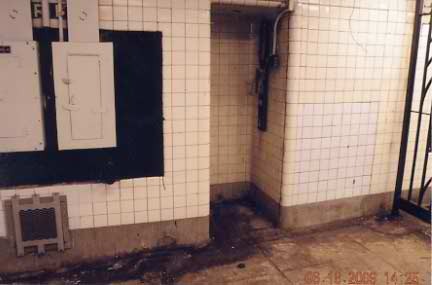 Its located directly under a large ventillation grill at the Astor station on the 6 and sometimes 4 trains. 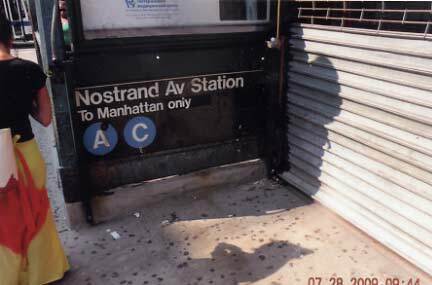 RIGHT: Nowhere else but here at Queensboro Plaza can one transfer from the IRT (7) to the BMT (N, W) by merely walking across the platform. 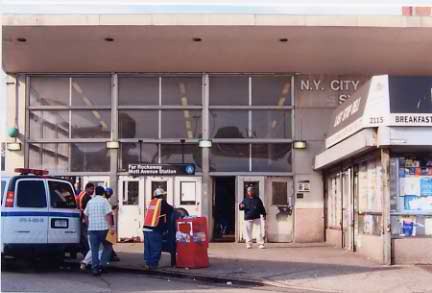 LEFT: No other subway terminal in the city accepts as many lines as here at the Stillwell Avenue (Coney Island) station. The D, F, N and Q call it home. 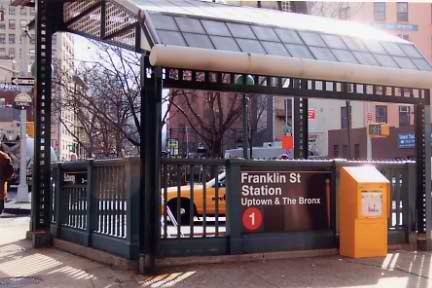 RIGHT: During the midnight hours, the 2 stops at stations called “Franklin.” However, the stop in Manhattan is Franklin STREET and the one in Brooklyn is Franklin AVENUE. A stub not noted earlier in FNY. #2 trains in the past used to make one more stop at what is now the Bronx Zoo. 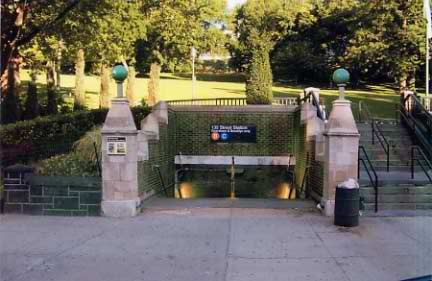 The stop was called Bronx Park. RIGHT: One of the system’s few storage yards that’s mostly on an elevated structure. Under yard that services the 1 train near Van Cortlandt Park, The Bronx. The New Lots Yard in Brooklyn also has elevated sections. More subway odds and ends coming soon; meanwhile, check here for more notable subway entrances.